At Professional Movers.com we recognize that the relationship a person has with their piano is different than any other. Historically, a piano was the single largest purchase a family made, other than their house. A piano is not only a valuable piece of furniture, but one that engenders memories, emotions, and attachments through the music and events associated with it. Often, we move pianos that have less monetary value than the cost of the move, simply because the customers care about it. In many cases, a piano provides a multi-generational tie or continuity in its’ family history. At Professional Movers.com we pride ourselves on specializing in safe and cost efficient commercial, private, institutional piano transport, retail piano home delivery and piano storage for all acoustic pianos (antique, player pianos, or other keyboard instruments). Our Local coverage area includes the entire Metropolitan Detroit and surrounding suburbs – Ann Arbor, Birmingham, Brighton, Canton, Farmington Hills, Ferndale, Highland, Novi, Plymouth, Rochester Hills, Royal Oak, West Bloomfield, and Sterling Heights just to name a few. 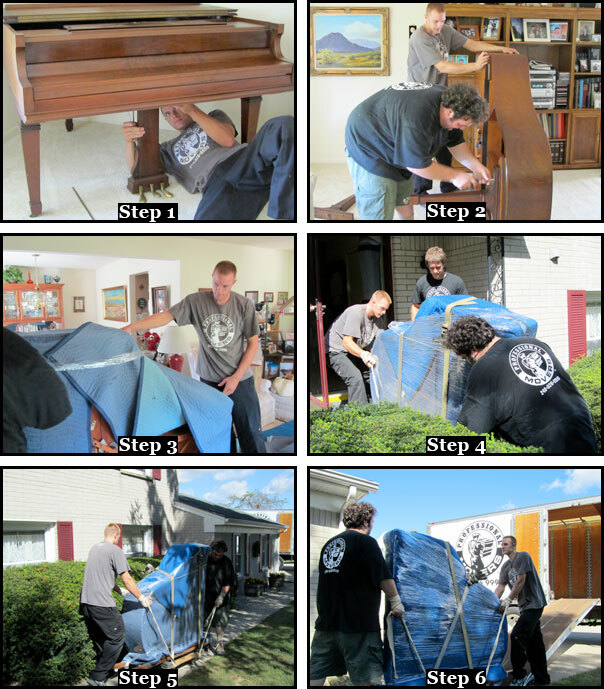 Piano moving is a complicated and technical task which demands a great deal of human strength and dedication to the art of transporting the value, beauty and essence of a piano. All acoustic pianos are made from different selections of wood, therefore each instrument is “one of a kind” and cannot be replaced if damaged – we appreciate and accept that responsibility. We understand the invested and sentimental value of your piano and always treat it like our own. We include in our price up to $100,000 cargo insurance and $1,000,000 liability insurance for every move. There are no hidden costs. We are movers who specialize in piano relocations. We are members of the American Moving and Storage Association, a professional organization, which sets standards and provides training and references throughout the moving industry. We have been in business for over 30 years, have moved thousands of pianos, and have never had an insurance claim for damage to a piano. Our Bill of Lading/Condition Report is useful in making sure that your piano arrives in the same state that it was picked up in. We operate on direct line scheduling. This means, the truck and men that pick up the piano will be the same truck and men that will deliver it. We are the piano mover. We answer our phone/website, book the job, dispatch the truck, properly inventory/load/pad/secure your piano, drive to the final destination, and properly unload/place it in its new home and everything in between. We can take total responsibility for its care since we have total control of it 100 percent of the time. *** If you have a problem, who will be there to resolve it? Some brokers choose the cheapest company they can find to do the work. Ask them what they are paying. Some keep as much as half for just booking your move. What happens if the broker does not pay the mover? All our piano movers are full time employees. They have only one boss to report to, and one boss to keep happy, you. There are no independent contractors or part time helpers. Each employee receives benefits including 100% health insurance and worker’s comp coverage, vacation/holiday pay and a 401k program. Pay and bonuses lead the industry, which allows us to send the very best to your home. *** Independent helpers are … independent. They may take extra items (other than pianos) that may include something flammable. They may decide they are not making enough money and leave. The truck belongs to them. They may not be insured while on your property and file a claim against you. Ask if they have ever had a truck disappear. Professional Movers.com trucks and trailers are custom designed and engineered for piano moving. We own them all and each one has our name and distinctive decal on its side. From custom cargo control, air ride suspension, rail lift gates to insulated truck bodies, custom dollies and improved lighting, you can be assured your piano will enjoy the ride. *** Most rental trucks have no cargo control system, climate control or air ride suspension… because it is expensive. Ask your piano which truck it would prefer. Professional Movers.com has been in business since 1978. While we have changed to meet the needs of our customers, we have not forgotten our roots in quality, service, and value. 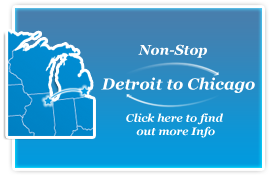 We are known throughout Metro Detroit for our piano relocation services…. Ask your tuner, piano dealer, teacher, dealer, or neighbor for a reference. Be prepared to hear our name over… and over. *** How long a firm has been in business indicates their commitment. When something happens, will they fold? Will they be there tomorrow? Are they just a lot of expensive advertising? We are located right here in Michigan. This means quicker service for you and comfort in knowing that if you incur a problem you are dealing with a local company that has a vested interest in the success of your piano move. *** If your piano moving crew is an out of state company, do they have your best interests in mind, do they care if your refer them to a neighbor? Probably not. We operate 24/7. Office hours are longer, 7am to 6pm Monday thru Friday and 8 to 12 noon Saturday (eastern time). Each crew has a cell phone, which is available for you to call, as you need to. Should you need to reach us while the office is closed, key employees are available for emergency contact. Dispatch cell number is also available 24/7. 248-240-4332. *** Try calling another piano moving company at 8:00 AM Eastern Time, or a weekend. Ask for a 24/7 number from someone else. If you get one, try it. Leave a message and see if it is returned. People who care cost more to employ. We have them. Professional Movers.com warehouse is climate controlled and centrally located in Oakland County. Electronic security including fire and smoke protection is hard wired and monitored 24/7 by a central station. *** Pianos are wood. If they freeze, they can crack. Heat can actually melt the finish. No drafty cheap downtown warehouses. Your piano stays with us where we live. Ask it which accommodations it would prefer. Our name is Professional Movers.com We specialize in moving high value (monetary/sentimental) instruments (pianos and organs). We do it a lot and we are very good at it. Practice makes perfect and while we may never reach that lofty goal, we are closer than anyone else is. ***The odds of success are better when you do it daily. We move more piano’s locally than anyone…..
We are fully licensed and insured. Our interstate identification number is 87113 and our USDOT is 70719. Each employee is covered while on your property. Valuation is included with every move with no deductible. Additional coverage is available through moving insurance.com. *** Having the proper permits means we have met all the requirements. Having the best insurance company means quick, fair service should it be needed. We are members of AMSA (American Moving & Storage Association), MMA (Michigan Movers Association), and many local Chamber of Commerce including Lakes Area, Royal Oak, and Birmingham. *** We care about doing it right. We are open to new ideas and other’s opinions. We value our relationship within the piano owners/dealers/movers/technicians and moving industry. We have our own custom display, which we take to local trade shows. We are here today, here tomorrow, here for the long run. What type of instrument do I have? “It’s just big and heavy…” is the answer we often hear when we ask our customers about the type of instrument they have. And it’s true, even the relatively small spinet piano or organ is “big and heavy,” especially to the inexperienced mover. For Professional Movers.com the logistics of size and shape are very important factors to consider. Even though they all seem “just big and heavy,” there are actually 14 different types of pianos and organs. You can often determine the exact type of piano you have by taking the measurements of the piano. Below you will find examples of how to measure your piano. If your piano is over 40 inches high, you have a Console. If your piano measures less than 40 inches, you have a Spinet. If your piano can play itself, then you have a player piano. How are each type of piano typically moved? Baby Grand Pianos are one of the most common styles that we move. For this reason we carry the piano skid for this piano on our trucks at all times. Like the larger grand pianos they are placed on their side on the piano skid, padded and strapped, then moved. Upright Pianos can be different in height, but they are most commonly full size uprights like the old “saloon style” seen in most of the old western movies. An upright piano (full size or short) has front legs that connect to the body of the piano. The Upright piano can be moved on a piano skid or when there are no steps involved a 4-wheel dolly may be all that is needed. These Upright style pianos are most often found in the basement. If there has been any remodeling to the basement after the piano was placed down there, the piano or the basement will have to be compromised. In a situation where the structure of the home has changed and the piano can no longer exit the home, we can disassemble the piano, but we do not reassemble it (this is generally done to discard the piano). Spinet Pianos are very common. A Spinet has legs that resemble a table. They go to the floor and generally have wheels on the end of the legs. They can be moved on a piano skid or a 4-wheel dolly, even where stairs may exist. The Spinet style piano is generally the easiest of the piano styles to move. Keep in mind “not every moving company is a professional piano mover”. Why do I need to hire a professional piano mover? The bitterness of poor quality service remains long after the pleasure of low price is forgotten. Did you know that a spinet piano weighs between 300 and 500 pounds; a grand piano varies between 500 and 1300 pounds? Not only are pianos very heavy — although solidly built, they are at the same time, complex and very fragile. A standard piano has more than 200 strings, pulled tight across a metal bridge with the combined tension of 40,000 pounds. The piano action itself has over 1,000 moving parts. So, the task of moving a piano is not just a matter of weight. The asymmetric shape, the fragility of the outer cabinet and inner mechanics, the uneven distribution of parts — all this and more demands not only proper equipment, but also an understanding of the unique dynamics of balance and inertia that pianos pose. How do I arrange a piano move? Some information about how your piano was originally moved to its present location (if you know); was a crane required? We hope you understand that the more information we have in advance, the better job we can do for you on Moving Day. Can you recommend any local tuners or piano service providers?